74 million people have viewed the Kony 2012 campaign on YouTube, Facebook and other social media websites. For those of you who are living under a rock, Jason Russell travelled to Uganda and met a young man named Jacob. Jacob had been abducted by Joseph Kony a Ugandan rebel and was forced to become a child soldier. Jason made a promise to Jacob that he would do everything he could to bring about change in Uganda. Jason Russell started a movement called Invisible Children. Kony 2012 is its campaign. Kony 2012 has met fierce criticism online with many claiming that of the donations Invisible Children has received only 32% went to ground work in Uganda. It has sparked a number of debates even inside of my own immediate social group. Over a late night coffee we got so caught up in the debate that the table next to us told us to quite down. This figure in no way has been covered up or glossed over. The finances are transparent. Anyone can see where his or her donations go. Fact: Global pressure leads to change. Global pressure only ensues through raised awareness. 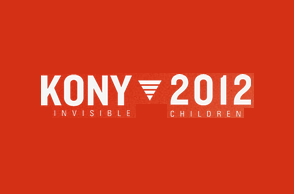 Fact: Kony 2012 has raised awareness in a big way. Governments have the power to instigate change. Governments act when people speak. People are entirely missing the point. Filmmaking costs money. The Kony 2012 video is an innovative and provocative piece of cinematography that has become a worldwide phenomenon. So many people have pledged and downloaded that the website has been overrun with donations. I myself would be happy if my donation went to a follow up film. What good is doing work on the ground if there are still people like Joseph Kony? People that would undo all of the hard work by burning down the schools and kidnaping the children you have paid to feed and clothe. People that are throwing around terms like “armchair activist” on social media sites need to stop being keyboard warriors, and find something productive to do. Kony 2012’s main goal was to use Joseph Kony as a figurehead to raise awareness on crimes against humanity. 74 million viewers say a big fat MISSION COMPLETE.